Remember when I mentioned that all I have been making lately are birthday cards? And then I’ll move on to something else. Grandpa Buzzy recently turned 70!! Woot woot. 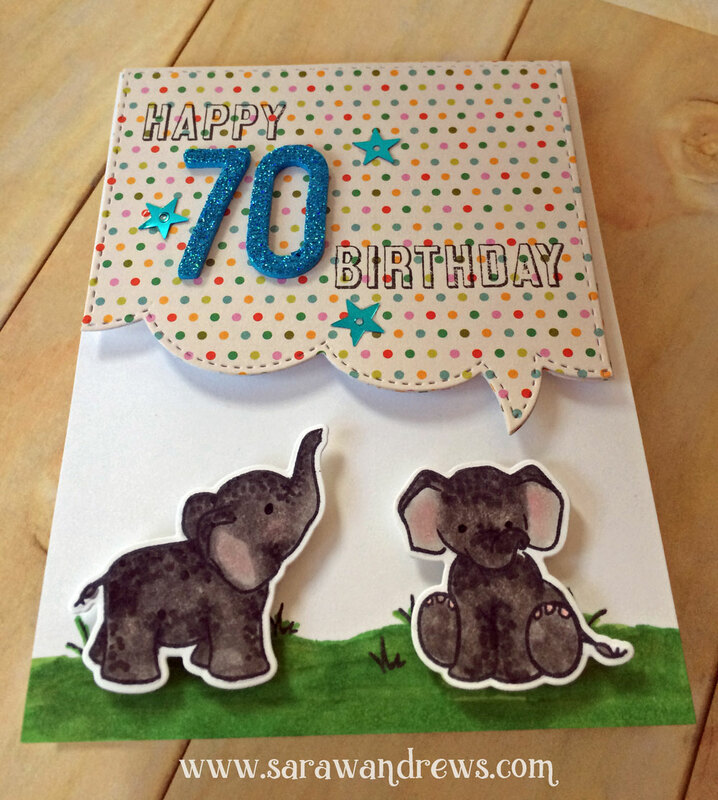 And Hartly was quite determined that we would be making him an elephant card. 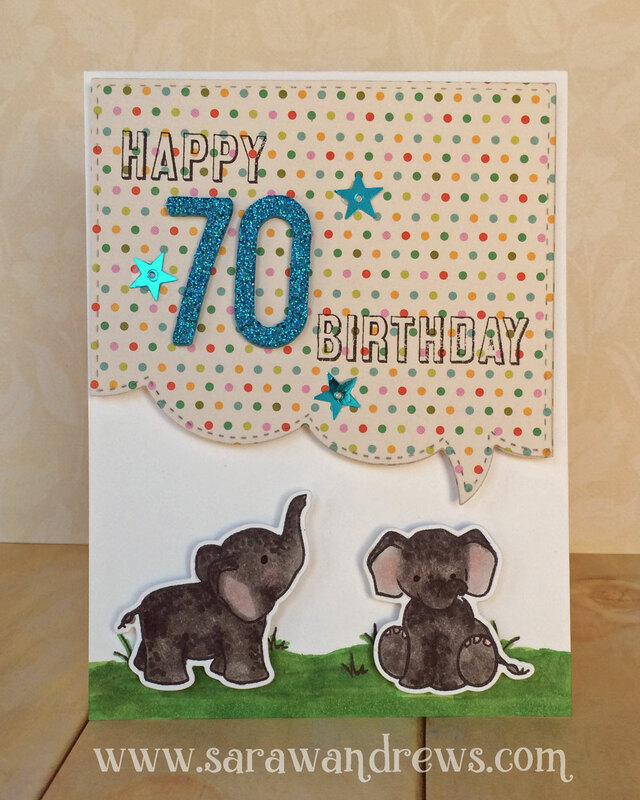 Nothing says Happy 70th like an elephant right? I paired my birthday wishing elephants with the speech bubble die from My Favorite Things. After completing my card Hartly was in charge of signing it for everyone. Any guesses on how many names actually went on the card?